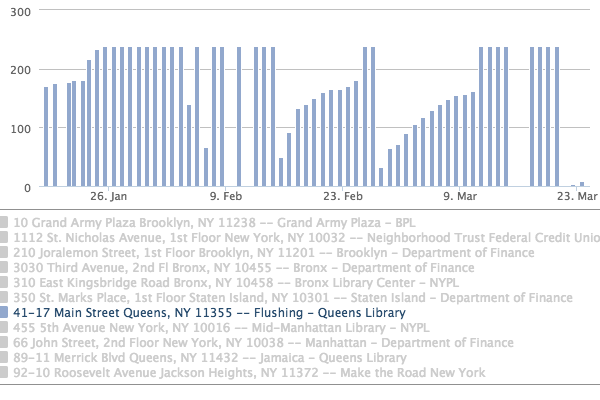 This uses https://github.com/EverythingMe/redash and https://bigquery.cloud.google.com to plot the number of days you will wait to get an IDNYC identification card. You can turn off and on particular locations to see the chart for each location. The data comes directly from the IDNYC calendar program. It is interesting to note the days when the "days to wait" falls sharply. We wonder what is going on there? Another excellent feature of re:dash is it has an automatic update feature. This data and chart should update each day.